Energy efficiency is very important. Customers expect businesses to do their bit for the environment these days. Reducing your energy costs is also important from a cost-saving perspective. Any savings you can make will positively affect your bottom line which, in an uncertain economy, is always a good thing. Reducing energy consumption in office buildings is also important for commercial landlords. It’s easier to find tenants when you can show that your buildings are energy efficient. 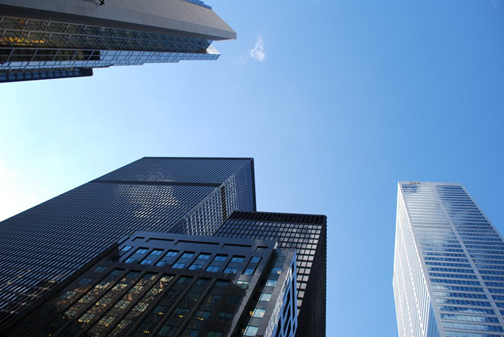 Here are some tips to help your business improve energy efficiency in its office buildings. In many offices, IT equipment stays on 24/7. Printers stay on and PCs remain on standby. Unless you have a server room, there is no reason why IT equipment needs to stay switched on all the time. Even if you turn it off, as long as it remains plugged into a power outlet, it’s drawing a charge. Research indicates that switching computers and monitors off at night saves hundreds of dollars each year. The more desks that you have in the office building, the bigger the savings. Lights are another area where you can save energy. Which type of lights does your building have? If they are not LEDs, then you have room to maneuver. LEDs are the most energy efficient lights. They last many times longer than halogen bulbs. Switch to LEDs where possible. In addition, fit automatic movement sensors and timers, so lights switch off in lavatories when the room is not in use. This will reduce your energy bills in the long-term. You can even extend this to general office areas, although it can be annoying if you are on your own in the office and don’t move for a while – yes, the lights will go out! Providing heat and air-conditioning is a huge expense. Unfortunately, many behaviors add to the problem. Opening the window when the air-conditioning is running forces the HVAC to work harder. Not closing window blinds when it gets dark leads to greater heat loss via the windows. If you don’t have a suitable HVAC installed, read this blog on a mechanical power design installation, written by experienced HVAC engineers. It might give you some ideas. Make sure the air-con system is regularly maintained and serviced. Inefficient systems cost more to run. Encourage the building’s occupants to keep the thermostat turned down. Offices don’t need to be 21 degrees Celsius. Ideally, each office should have its own control, so individuals can make fine adjustments to their environment without affecting the rest of the building. New buildings are better designed when it comes to heat loss. Older buildings less so. Check for draughty windows and doors. Fit insulation strips and draught excluders. Make sure all doors have automatic closers fitted. Finally, look into ways to make your building more self-sufficient. Photo-voltaic panels generate electricity from the sun, which can be used to power light and heat. Wind turbines are also worth looking into.